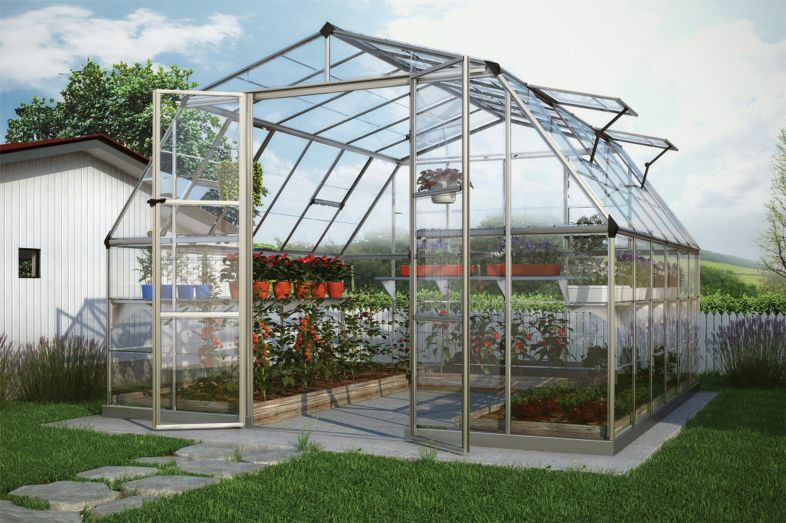 The Americana Hobby Greenhouse 12' x 12' is extra wide and tall for all the room you need for your organic community gardens, schools and backyard gardening activities. 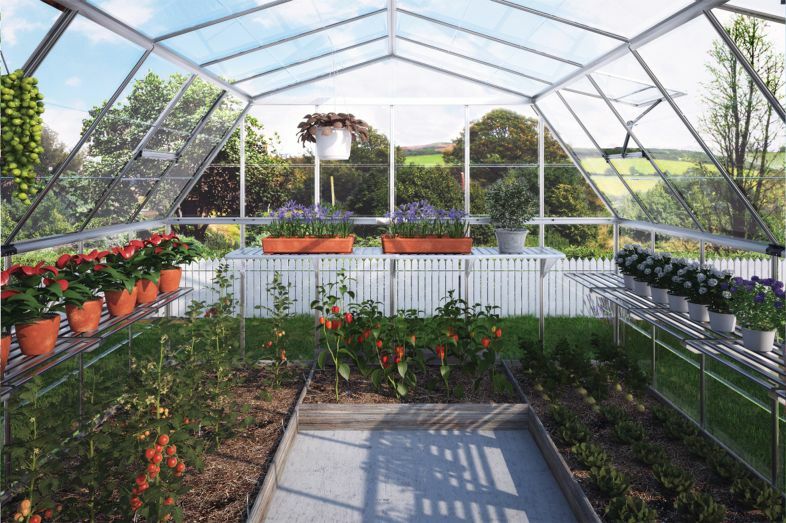 The interior space gives plenty of room for your tall and leafy plants. The wide and high entrance with a threshold ramp allows easy wheelchair and wheelbarrow access. 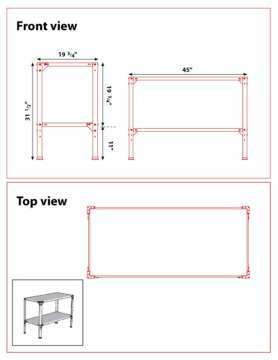 The double doors are lockable and the four adjustable windows allow excellent ventilation. 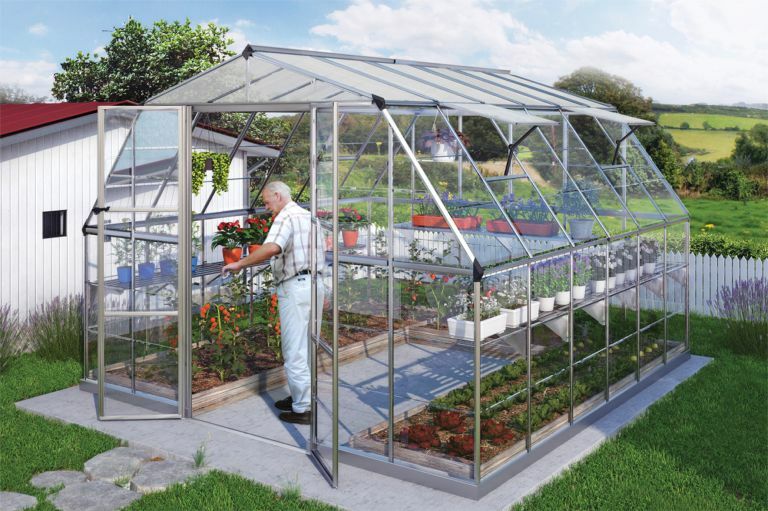 The aluminum framework and clear polycarbonate panels make the Americana a very strong and unbreakable greenhouse. Can handle a snow load of 15 pounds per square foot. 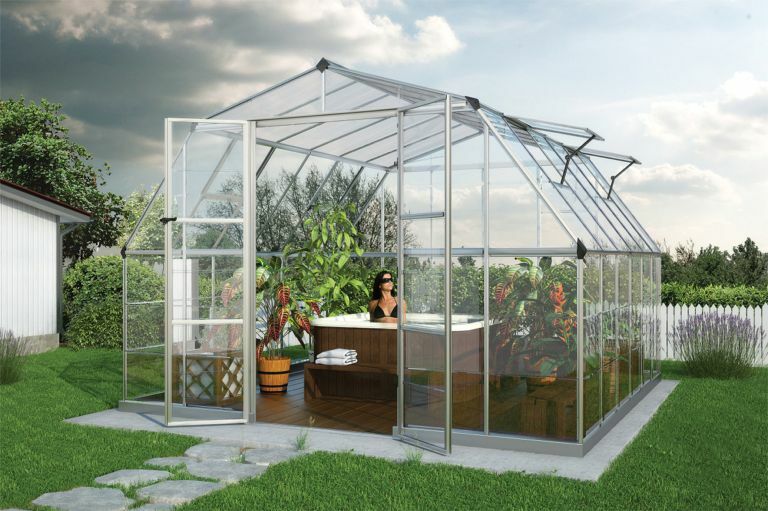 Greenhouse peak of over 8 1/2' allows room for your larger and taller plants. 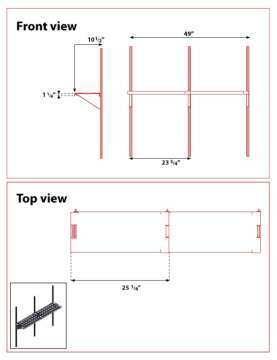 Threshold ramp for wheelbarrows or wheelchairs.